Jared and Alex were confronted by a wall of naked people on their way in to record this week’s podcast, but the show must go on. Coverage of gaming news includes the success of Fallout 4 mods on Xbox One, operating on Donald Trump in Surgeon Simulator, and a seven year-old boy caught up in a Gamestop robbery. 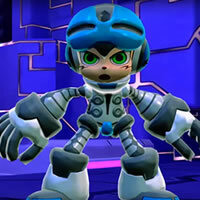 Also, a recent trailer for the upcoming Mega Man spiritual successor Mighty No. 9 has some gamers crying like anime fans on prom night. Inspired by a recent piece on GamingBolt.com, the topic of discussion for The Top Three List of the Week is the “top three most tedious things you’ve done in videogames (that were actually tedious).” Later in The Worst Thing That Happened To Us This Week Ben discusses his concern for the future of creative freedom in game design in our increasingly “politically correct” culture.